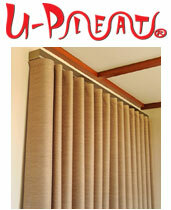 Curtain tracks that make almost any curtain design possible – that’s Uni-Q! Our innovative unique curtain tracking system is like no other on the market. A simple read through our website will reveal our 33 Improvements over other curtain tracks. Whether you are planning drapes for your commercial property or residential home, Uni-Q curtain tracks are the perfect solution for you. We can custom make tracks to suit any window, no matter how large or small… or how complex. Combine our Uni-Q Curtain Tracks with our complementary products, including U-Pleat Drapes and our fabulous half-price padded pelmets and you have the ultimate drapery system. 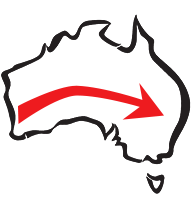 Use our contact form, visit our Perth showroom or call us today, to discuss your needs. We can help you get the design you want and the price you need. Whether you know everything about curtains or nothing at all, we’re happy to help.